News From Space: Mars Needs Money! 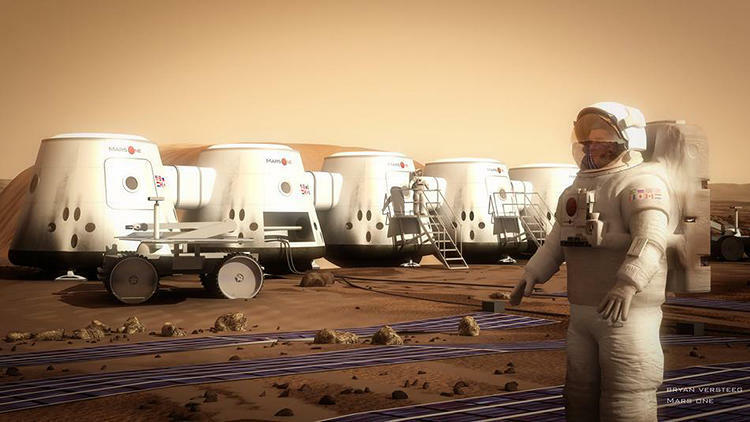 Remember Mars One, the Netherlands-based nonprofit that began seeking recruits for a one-way trip to the Red Planet during the summer of 2012? Well, it turns out the company is looking to take the next step towards its goal of establishing a human settlement on Mars by 2023. Basically, they are looking to raise the funds to get the ball rolling on the eventual manned mission. Towards this end, they have started a crowdfunding campaign through Indiegogo – and in partnership with Lockheed Martin – to raise the money for some concept studies, which will test the lander and a satellite that will conduct a demonstration mission in just four years time. The lander is based on Lockheed’s design for the NASA lander successfully used on Mars in 2007 (pictured below). Their campaign is seeking to raise $400,000, which will cover the costs of the concept studies, and is a mere drop in the bucket compared to the $6 billion the team estimates will be necessary to get humans to Mars. However, most of that money is expected to come from media broadcasting rights as citizen astronauts are selected and, if all goes as planned, start living on the Martian surface. 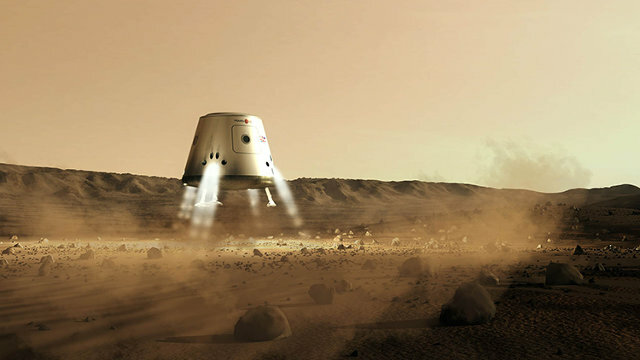 As has been stated many times over, Mars One is an evolving idea that seeks to make something historic happen. A future, larger crowdfunding campaign will allow universities to compete to send a full experiment to Mars on the 2018 mission, which will be unmanned. 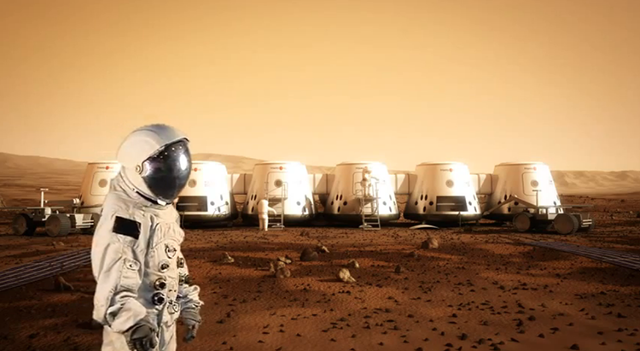 Mars One hopes to send four human colonists to the planet by 2025, selected from a pool of more than 200,000 people who have already applied. We really see this as a break with the history of space exploration, and especially Mars exploration, because in this mission anyone can participate in some way… For the U.S., Mars exploration is pretty common. But all of Asia has never sent an experiment to Mars. Now, suddenly we allow anyone, everywhere in the world, to send something to Mars. That’s a complete break with Mars exploration in the past. Naturally, there are plenty of issues that need to be worked out before anything real can happen, and plenty of naysayers who emphasize the stumbling blocks in sending a manned mission to Mars. These include, but are not restricted to, radiation, microgravity, technological limitations, and the sheer amount of time involved. If we have some time to talk to people and explain the details of our plan, and as long as they’re commenting on their own field of expertise, I’ve never met someone who could not be convinced that this is possible. 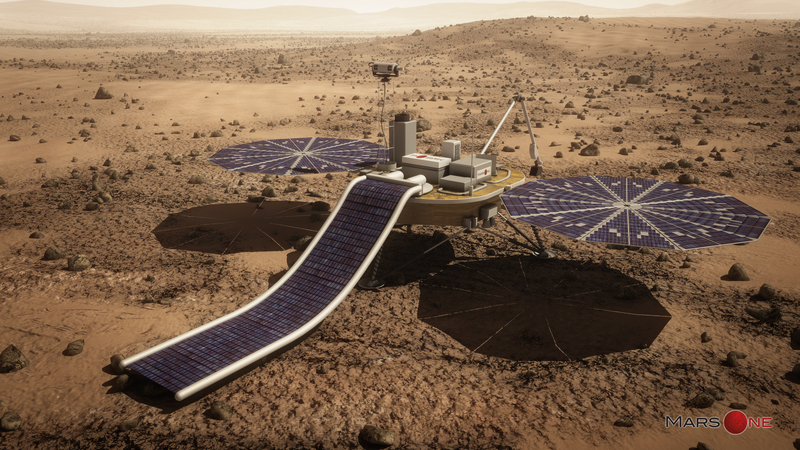 It will be very difficult of course–there are thousands of hurdles on the road between now and landing on Mars–but there are no hurdles that we can identify that we cannot take. As of the penning of this article, the Mars One campaign has been open since December 10th and has raised $209,677 of its $400,000 goal, with 18 more days to go. And there are certainly no shortage of volunteers, as the company is currently processing applications from 150,000 people. So even if it can’t happen by the proposed date, it is clear that they have grabbed the world’s attention.